KNBR radio’s Murph & Mac, Gary Radnich and Tony Bruno, Fitz & Brooks, Damon Bruce, and Ralph & Tom broadcasted live from the Public House at AT&T Park in San Francisco for the 11th Annual KNBR Sports Auction on Friday, December 10 from 5 a.m. to 7:15 p.m.
From l to r: Ray Woodson, producer, KNBR, Ralph Barbieri, Tom Tolbert, and F.P. Santangelo, KNBR air personalities chat on-the-air during the sports auction held at the Public House in San Francisco. The KNBR Sports Auction raises several hundreds of thousand dollars for the Bay Area Sports Hall of Fame, which allocates the funds to over 90 Bay Area youth sports programs each year. The day included a free breakfast buffet from courtesy of the Public House, live auction on once in a lifetime sports experience packages, silent auction with autographed sports memorabilia and gifts and special guests all day. Sheldon Baker has been developing brands and marketing programs in the dietary supplement and food industry for 20 years. He is also a contributing writer to natural health and food online publications: Health E-Insights on www.NutraceuticalsWorld.com Market Tonic on www.NaturalProductsInsider.com, nhiondemand.com/expertsperspectives and San Francisco/Bay Area Examiner.com. He hosts the online television talk show Baker: In the City on www.CentralValleyTalk.com featuring health leaders, authors, athletes and other business experts.  He can be contacted at Sheldon@NutraInk.com. © 2010 Sheldon Baker. All rights reserved. Watermark theme. Powered by Blogger.